What to serve for breakfast?? Biscuits and gravy……it doesn’t get much more southern than that. But when you’re serving “Breakfast at Tiffany’s“, you can’t just serve the same old same old. Summertime….fresh strawberries…hey – wait a minute! 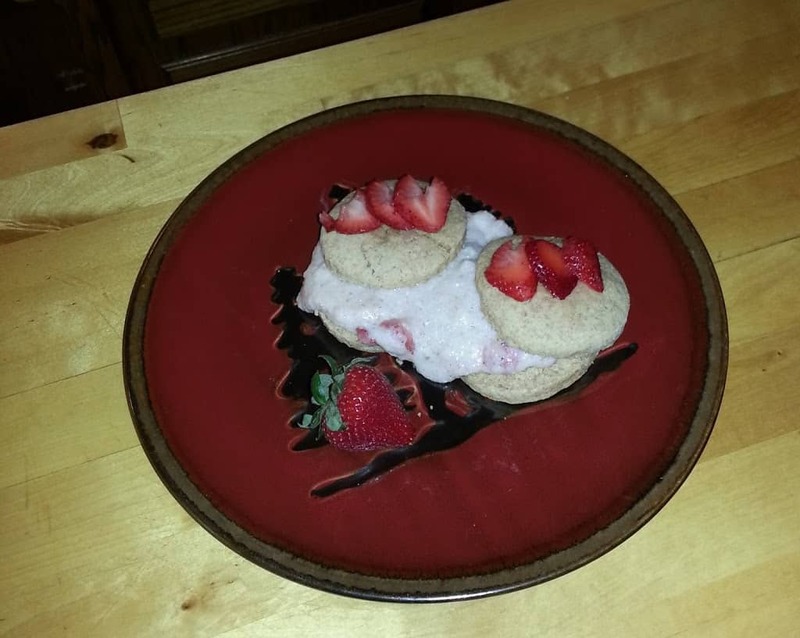 How about sweet cream biscuits with fresh strawberry gravy? Yes, it tastes just as good as it sounds! Preheat oven to 425F. In a large bowl stir together flour, ½ c. sugar, baking powder & ½ tsp. salt. Stir enough of the cream into the flour mixture to just moisten the flour. Turn out dough onto a floured surface. Knead dough just until it holds together. Pat or roll dough until ¾” thick. Cut with a floured 2 ½” round cutter. Dip cutter into flour between cuts. Place on an ungreased baking sheet. Bake for 12 mins. or less until golden brown. Remove biscuits from baking sheet & cool slightly. Meanwhile, in a large saucepan bring 2 ¼ c. milk to simmering. Slowly add instant wheat cereal, whisking constantly until fully incorporated. Bring to boiling; reduce heat to simmering. Stir in 1/3 c. sugar, vanilla, & ¼ tsp salt; cook for 2 minutes. Add enough of the remaining ¼ c. milk as needed to thin out cereal so it is the consistency of gravy. Stir in chopped strawberries. To serve, cut biscuits in half horizontally. Place cut biscuits on serving plates. Spoon cereal mixture over cut biscuits; top with sliced strawberries.